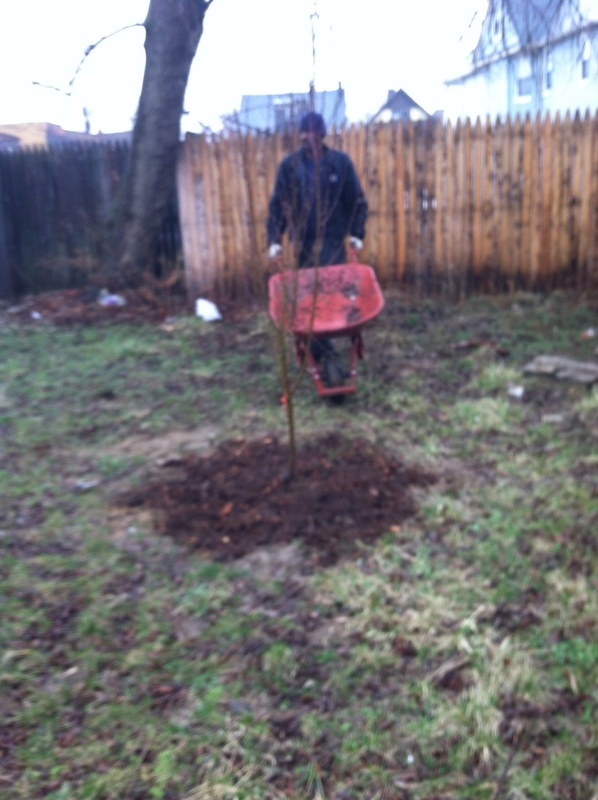 and a Semi-Dwarf (SweetHeart) Cherry tree. 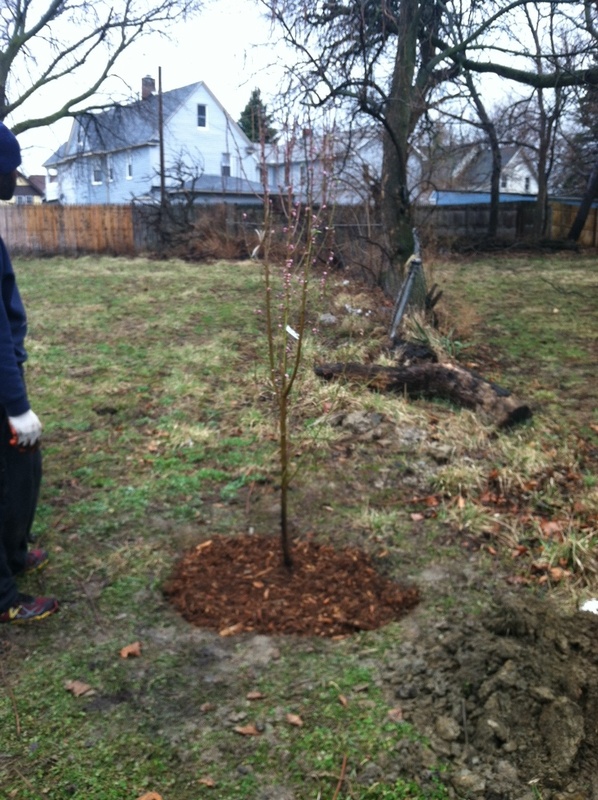 Jacqueline Kowalski, from the OSU Extension Cuyahoga County, graciously came out and taught us how to prune the trees. She is a very knowledgeable and experienced farmer and we really appreciate her help and guidance. Thank you Jacqueline! We went to the meet and greet at OSU Extension and met one of our two Master Gardener mentors. We are excited to learn all our mentors have to teach us! We had a good week last week. We went to the Summer Sprout Garden Leader Kickoff at the Slovenian National Home on St. Clair Ave. and received our seeds, signed the license with the city, and networked. We got 71 packets of seeds even though we were supposed to get 75. That was our mistake, I guess we lost track of how many we were getting. Coca Cola Cleveland Bottling Company generously donated five, fifty-five gallon food grade plastic barrels for our project. 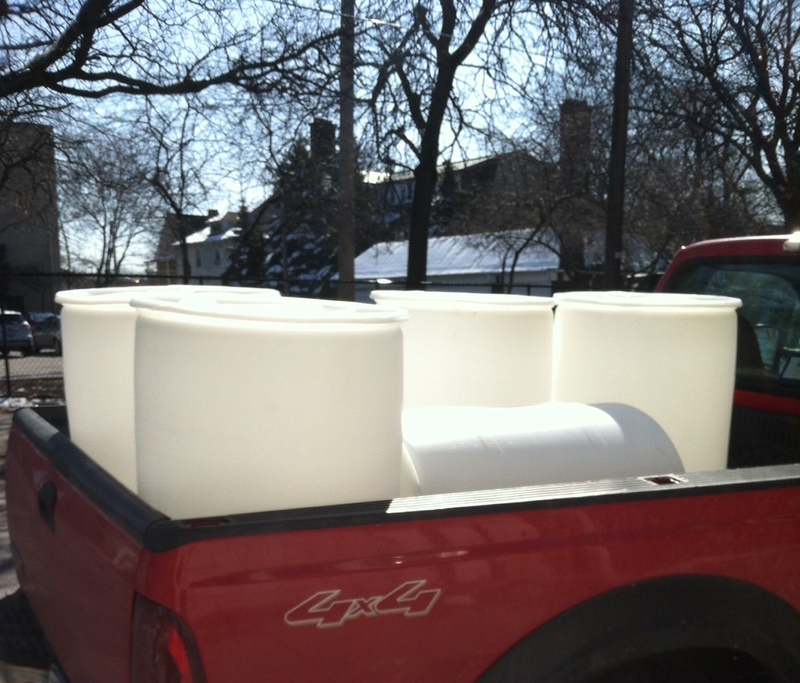 We will use them for a rain catchment system. Thank you! 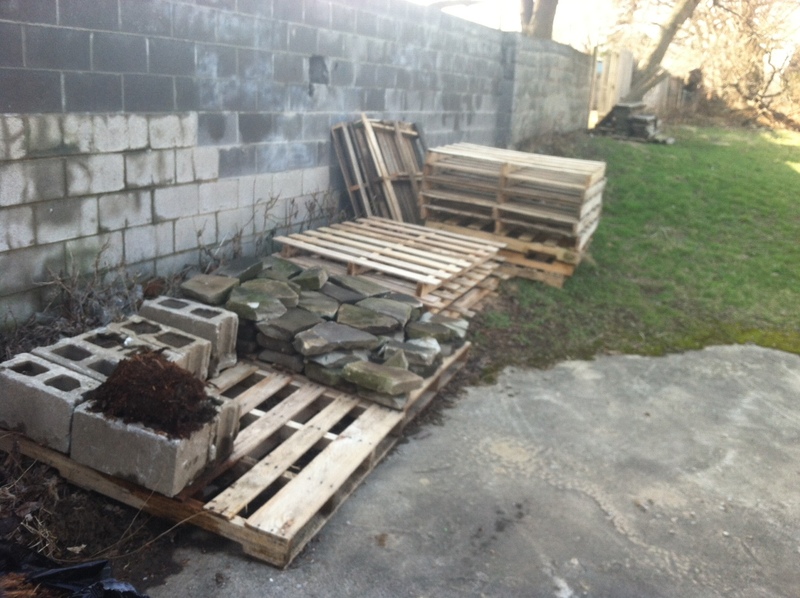 We scavenged some pallets, sandstone pieces, and cinderblocks for our garden project. 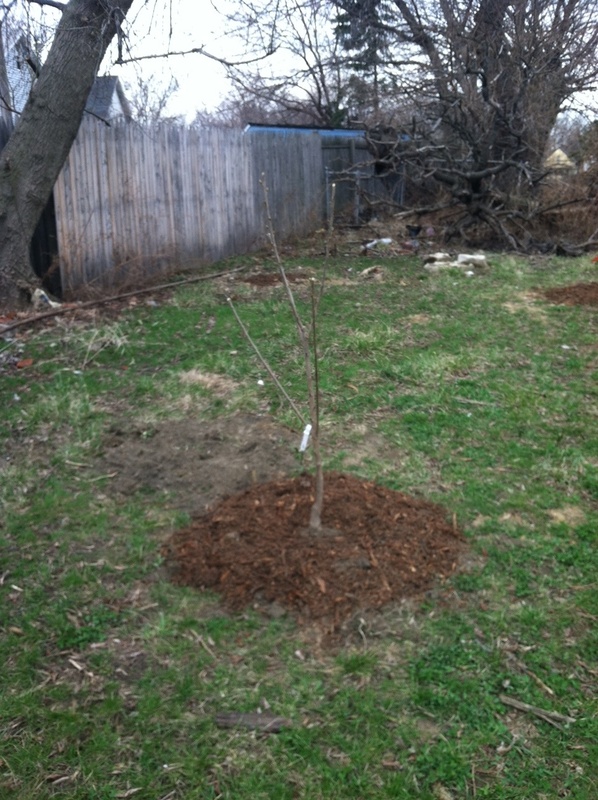 We picked up fruit trees: Apple (Honeycrisp), Sweet Cherry, Nectarine (Fantasia) and two Peach (Cresthaven, Redhaven). We also received strawberries (everbearing), blackberries, and raspberries; all from the Summer Sprout Program. Last but not least, we put up our temporary sign. We’ve finished the 8 week program Dig In! at OSUE last week, and we really enjoyed the class and our classmates :). This past weekend, we attended the Cleveland Seasonal High Tunnel Initiative Planning and Implementation Workshop, where we learned that we could apply for a cost-share from the USDA‘s Natural Resource Conservation Service (NRCS) through their Environmental Quality Incentives Program (EQIP) to help us purchase a high tunnel kit for our project. The Federation of Southern Cooperatives (FSC) sponsored the event and offered their services to the residents to help us with the process of obtaining permits, construction time-lines and FAQ. We’ve applied for financial assistance from the NRCS and we hope to hear from them soon. Wish us luck! This spring we will be initiating our Channel of Peace Project. We plan to utilize various gardening techniques such as: raised beds, straw bale, keyhole, and hoop house. Our aim is to engage our fellow St. Clair/Superior neighborhood residents in a community building effort centered in the garden. We’ve chosen two vacant lots that are right next to each other, so we have around 7,000 square feet which for us is a lot of room to garden. We have been accepted into the Summer Sprout Program that is run by The Ohio State University Extension in Cuyahoga County, and we are very excited about it. We have also been accepted into the 2014 Dig In! program and will be taking an 8 week course starting January 30. We applied for and received a grant from Neighborhood Connections and Cuyahoga Arts and Culture who are co-sponsors of our project. This project would have been a lot tougher to get started if it wasn’t for the funding from Neighborhood Connections and Cuyahoga Arts and Culture, thank you for believing in and supporting our project. Any support in the form of a few kind words, donations, a helping hand, and/or prayers… are most welcome and appreciated! Follow Ethni-City Gardens's board Channel of Peace Project on Pinterest. 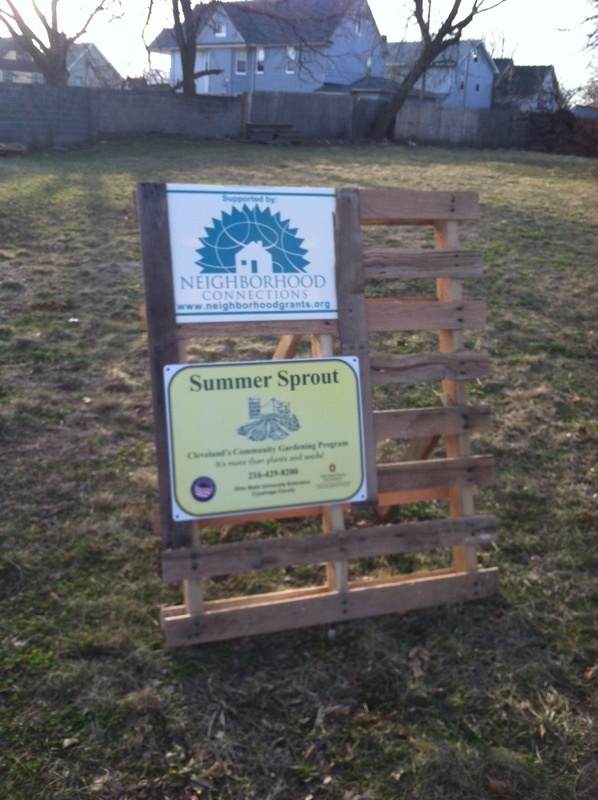 Cleveland's Community Gardening Program, "Summer Sprout"